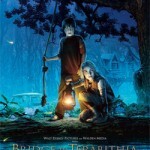 The intense emotions in Bridge to Terabithia are its strength and its source of controversy, writes Jay Stone. Back in 1975, when David Paterson was eight years old, he was an awkward kid with no friends. He had just moved to a new school near Washington, D.C., and he lived a solitary life, drawing pictures in a notebook that he never showed to anyone. One day, a new girl, Lisa Hill, came to class. She had no friends either. And somehow, David and Lisa became instant best friends. Everything changed when Lisa went on holiday with her family in Florida. She was standing on the beach. The sky was clear, but there was the sound of thunder in the distance. Without warning, Lisa was struck by lightning, and she died. He remembers being “handled” by all the adults in his life. To his teachers, he became “the one with the dead friend,” and they spent more time with him. His parents comforted him as well, but his mother went a step further. She is the writer Katherine Paterson, a former missionary whose previous books had been set in Japan. She couldn’t make sense of what had happened to David’s friend — “we’re Scottish Presbyterian, so sharing emotions is something we don’t do,” says David Paterson — so as therapy, she turned the story into a novel. It told the story of a young, isolated boy named Jess who liked drawing and had a crush on his music teacher and suffered a strained relationship with his father — all things that were also true of David – and his friendship with Leslie, who was vibrant and outgoing, like Lisa. Like the real David and Lisa, Jess and Leslie played in the woods, where they created a fantasy kingdom where they could be king and queen. 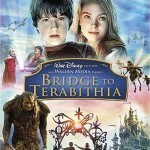 The novel was called Bridge To Terabithia. The book, published in 1977, went on to win the Newbery Medal as best children’s book of the year, and has become a perennial best-seller. It also made Paterson famous, in a way: forever the kid with the dead friend.